It is difficult to speak of Chico Freeman in the same terms as you would another saxophonist playing today. He has a heritage that is unusual in jazz, coming as he does not from a musical family, but a musical dynasty. But more than anything else he has a tenor voice that is completely unique; as singular as the great saxophonists gone by – it is a broad, commanding brogue unique in itself awash with thick, earthy colours and tones and textures that rustle like raw silk on the glistening skin of a woman. The only other tenor saxophonist as recognisably unique is Gene “Jug” Ammons. Remarkably, the voice has remained the same throughout his playing and this recording with Heiri Känzig is no exception. The metaphor of The Arrival is wholly appropriate. It suggests another coming, this time with just the double bass of Mr. Känzig in toe. The works on this album have rhythmic and harmonic specifics that define a unique compositional language seemingly invented just for this date. With the two musicians’ penchant for dividing the overarching structures into thematically interlinked chapters comprising of narrative and dialogue, the music becomes imbued with a special meaning altogether. The tone may be set by Mr. Freeman, who is cool to the point of reticence, but the lounge-like quality of that voice is made alive by Mr. Känzig which is animated by contrast. 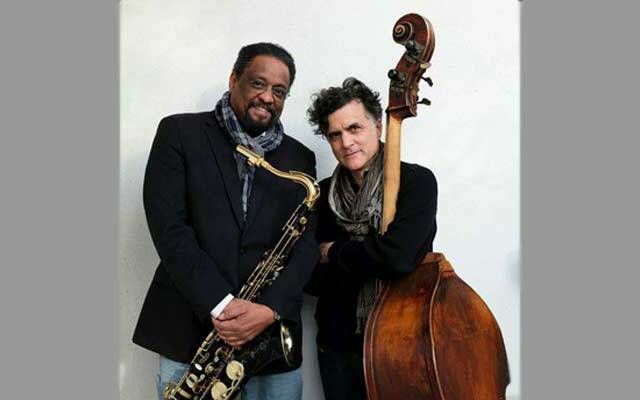 Each musician’s justification for the set is that, being composer as well as tenor saxophonist and bassist, they can offer very particular insights into this repertoire. Certainly each has a sure sense of structure and pacing, and his each musician’s playing is gratifyingly free of mannerism. In a piece such as “The Essence of Silence” for instance, Mr. Freeman is more deliberate than Heiri Känzig, who is superbly insouciant by comparison (to the sharply dramatic Chico Freeman). This is somewhat typical of the set – the angular differences between the two men’s playing, I mean, and this is also what makes the album so effective. In the more virtuoso writing, in pieces such as “Eye of the Fly” and “To Hear a Teardrop in the Rain” the sheer élan of each musician is further informed by Mr. Känzig imbuing the pieces with an almost Wagnerian sense of drama. But hold on: Chico Freeman is up to the task as well – often imparting characterful playfulness along similar lines to Mr. Känzig’s. Elsewhere you’re constantly reminded by each musician’s extraordinary switches of sound worlds, a feature that becomes still more striking in the latter piece, which is presumably an extrapolation of moods and changes that were set in John Coltrane’s “After the Rain” (although the writing is more in the lyrical vein of Billy Strayhorn). A real pea-souper descends in Heiri Känzig’s “Eye of the Fly”, thanks to judicious pedalling. In the more biting numbers, he perhaps underplays the element of subversiveness – and that goes for pieces as different as “Chamber’s Room”, where Mr. Känzig captures the malevolent edge with more subtlety than any bassist. In the last two pieces again, the techniques of the musicians is prodigious and billows with insouciance, also burning with an extraordinary degree of brightness. Track List: One for Eddie Who 2; Early Snow; The Essence of Silence; Ancient Dancer; Will I See You in the Morning? Dat Dere; Song for the Sun; Just Play; Eye of the Fly; After the Rain; To Hear a Teardrop in the Rain; Chamber’s Room. 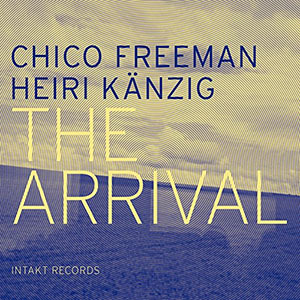 Personnel: Chico Freeman: tenor saxophone; Heiri Känzig: double bass.